Native Deodorant is in the “Grey Area”. I’ve received a response from Native confirming they and their suppliers do not test on animals, however, they only mentioned where they ship to not where they sell products. It should also be noted that Native is owned by a non-cruelty-free parent company, Procter & Gamble. One brand that seems to be taking the natural deodorant scene by storm is Native Cosmetics. They carry a full line of deodorant for both men and women, at a reasonable price to boot ($12 USD). The product claims to keep odor at bay, even during sweaty workouts (which we all know is a downfall for most natural deodorants). The ratings for their deodorant are through the roof, with an average of 4.92 stars. I’ve been contemplating trying Native Deodorant for some time but wanted to fully research its ingredients and cruelty-free status first. Is Native Cosmetics Deodorant Cruelty-Free? Native Cosmetics states on their website that they are cruelty-free, and even have links to programs for ending animal testing, however, I can’t find any solid information anywhere else besides their website. They are not listed in the Leaping Bunny database nor appear on any other trusted cruelty-free blogs. I will be reaching out to them this week to see if I can get a direct answer! Stay tuned! *These are the ingredients for the base product. Certain scents may have additional ingredients. All of the ingredients used in Native Deodorant are natural and have been deemed safe by EWG. Of course, it’s always important for you to review the ingredients on your own to make sure there’s nothing in it that irritates your skin. Most scents contain Sodium Bicarbonate (baking soda), which can be an irritant to some people, however, they have two scents that are baking soda free Coconut & Vanilla (Sensitive) and Cotton & Lily (Sensitive). 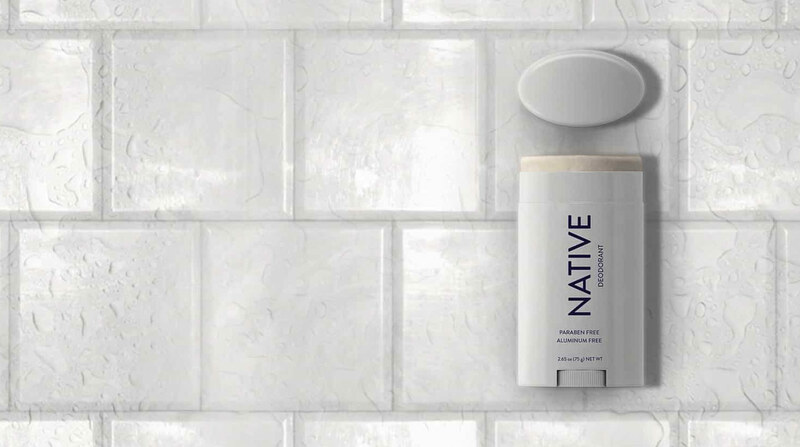 Native Deodorant is sulfate, paraben, phthalate, talc, gluten and aluminum free. No, Native Deodorant is not vegan as Beeswax is one of the ingredients. P&G acquired Native in 2017 and, as we know, P&G tests on animals. You are correct, Shana. Native is owned by Procter & Gamble, a company that tests on animals. 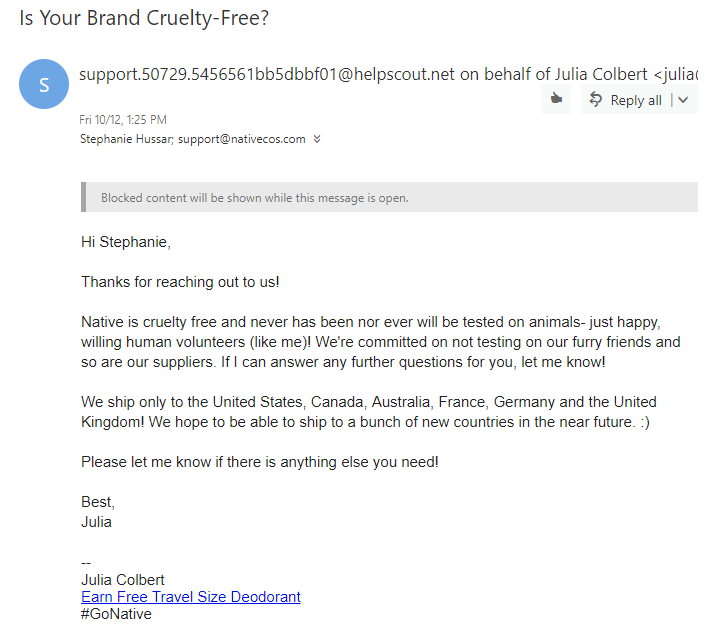 I reached out to Native directly to confirm their specific company is cruelty-free, however, I should have noted their parent company was not cruelty-free. Some people support cruelty-free brands with non-CF parent companies which is why I still share them. Thank you for bringing this up! I will be sure to note this better in future posts.